A Natural User Interface (NUI) is an interface you interact with using intuitive actions related to natural, everyday human behavior. These interfaces often require touch, gestures or voice commands to interact with them. In the past, methods of interaction with devices required us to adhere and conform to the technological restrictions that existed. However, the pendulum has begun to swing in the opposite direction. Electronic devices have begun to adapt to our preferred means of user interaction. The advancement of Natural User Interfaces means people will be able to use technology in whatever way is most comfortable and natural to them. Intuition, of course, doesn’t mean that learning is not involved, but it does mean the amount of thinking required before acting is drastically reduced. With that understanding, designing a natural user experience means finding innovative and inspiring ways of leveraging what users have learned and experienced just from being human. NUIs will give devices a form of extreme intuitiveness, taking the unconscious process of human learning and infusing it into the UI system. The advantage of NUIs is that the user experience feels easier and more natural due to a wider range of basic human skills that can be used to interact with the system. 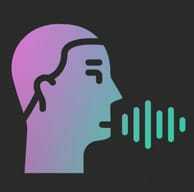 Touch and speech, for example, are two methods of interaction that can travel across most user demographics without the same level of concern over different learning curves. By utilizing common skills learned throughout our lives as the source of interaction, NUIs can greatly reduce the cognitive load required to perform tasks and thus reduce the number of errors and frustrations. Copyright © 2019 Areteworks, Inc.
A Product Design & Development Company. All rights reserved. or reproduced without written authorization from Areteworks.